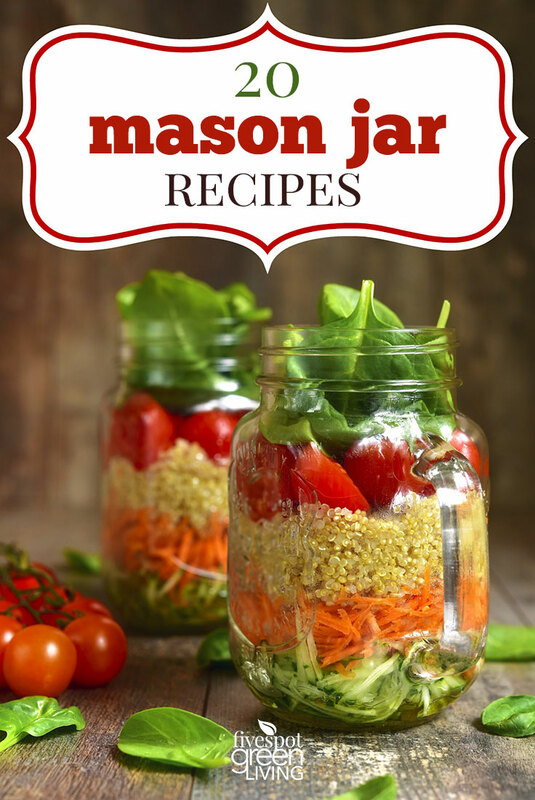 Here’s a list of 20 Really Fun Mason Jar Recipes for some really easy healthy recipes! Each one is different and delicious and can be made ahead! Make these meals and desserts ahead of time with the toppings stored in containers above the jars. Nothing gets soggy, everything crunchy stays crunchy! Just put them together and go – to work or picnic or holiday gathering. Or put them in the fridge for later. This Sausage Spinach Omelette in a Jar recipe is perfect for a high protein and low carb breakfast on the go. Make ahead and eat all week. 5 Ingredient Mason Jar Lunches – When you are ready to eat, you can either shake the jar and eat out of that or just pour everything into a bowl. Here’s a new one – strawberry lime basil! I have a ton of basil growing in containers and in raised beds plus strawberries are in season so those two ingredients were just naturals. The lime gives it a refreshing citrusy flavor. Give it a try – it’s a delicious way to get your daily water requirement in! Oven-Baked Egg and Vegetable Cups can be made ahead of time for breakfast or lunch! Zucchini Pasta Salad With Avocado Spinach Dressing is a creamy luscious raw vegetable salad served in an easy mason jar to go! Orzo Salad in a Jar for a lighter, healthier bite with lots of vegetables. S’More Sundae Mason Jar Shooters are sweet and creamy, but with a bit of crunch. Patriotic Dessert in a Jar easy-to-make sweet treat to celebrate 4th of July! Beef Stew in a Jar is so much more fun to eat topped with a yummy biscuit! Chicken Pot Pies could also easily be stored in the freezer, either before or after they are cooked. You can pack these Almost Instant Noodle Soup jars days ahead and stash them in the fridge. Since the noodles aren’t immersed in liquid, they stay chewy and fresh instead of getting soft and waterlogged. Cornbread Chili in a Jar – this warm, rich and tantalizing meal is easy to make, fabulous on your taste buds and even served spritely in a jar. Breakfast Jar Parfaits are easy to assemble and make-ahead, so they’re ideal for a grab-and-go healthy breakfast. Overnight, No-Cook Refrigerator Oatmeal makes for a quick and easy grab-and-go breakfast throughout the week. Mango Black Bean Mason Jar Salad – make sure all the ingredients are as dry as possible before layering. This prevents moisture from building up and lettuce getting soggy. This Caprese Salad in a Jar recipe is basic, but the results are pretty and fun. Quinoa Chicken Burrito Bowl – Grab one of these prepared jars on your way out the door in the morning, and guarantee yourself a filling, delicious, healthy lunch that is even better than Chipotle. This quick and easy lunch recipe is not only delicious, it’s packed with healthy food. Layers of lettuce, tomatoes, beans and more go into this Taco Salad in a Jar. Banana Bread in a Jar that’s perfect for gifts, party favors, or just to eat! With only about 10 minutes of prep (and no cooking!) you can prepare these healthy Chicken Taco Salads to keep in your refrigerator for a busy week ahead! 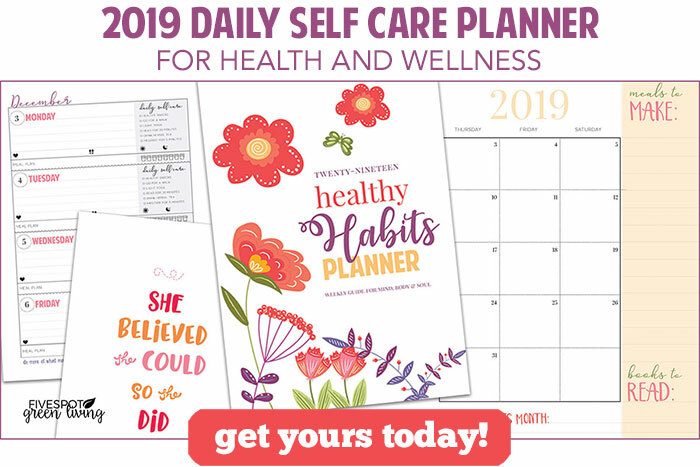 Some really great ideas here! Thanks for sharing on the What’s for Dinner link up! All these delicious mason jar recipes in one place, thanks! I see several that I want to try. Thank you for linking up with us at the #HomeMattersParty this week! What a great collection! Your post is awesome and thanks so much for sharing it with us at Full Plate Thursday. Hope you are having a great day and come back to see us real soon! Looks like some easy and tasty salads you can make, perfect for lunches on the go! Awesome mason jar recipes. Thanks for sharing at the #InspirationSpotlight party @DearCreatives Pinned & shared.